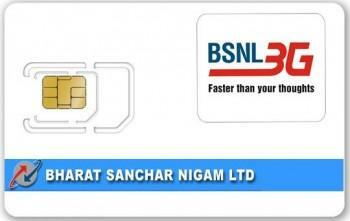 Back in 2011 BSNL launched four consumer friendly combo plans for its prepaid, postpaid and Prepaid 3G mobile users across all telecom circles now BSNL has decided to stop the combo plans. These plans such as Rs 300 Rs 500 , Rs 100 & Rs 2000 will be stopped by BSNL starting November 11. The 3G combo Plans of Rs.300 provides 300 MB 3G Data, 300 Voice call(Local/STD), 300 SMS and 30 Free Local Video Calls. The other plans of Rs.500, Rs.1000 and Rs.2000 also bundled with Full Value over Data Voice, SMS and Video callings benefits. BSNL will be also stopping its 2G prepaid combo data pack which comes for Rs 101 as well as its well know postpaid tablet plans which comes for FMC Rs 680 which offers 6GB and Rs 900 (10GB) starting Nov 11. Now we have to wait and watch what BSNL does to compensates its users for the above plans. if you have samsung phone then type on dialing screen – *#197328640# – debug screen – phone control – nas control – rrc control – change revision – touch the first option – r99 0ff – then again touch and then press back key. hsdpa will be switched off . you will get speed – 250 – 460 KBPS and sometimes during day it will be capped to 60 KBPS , sometimes.